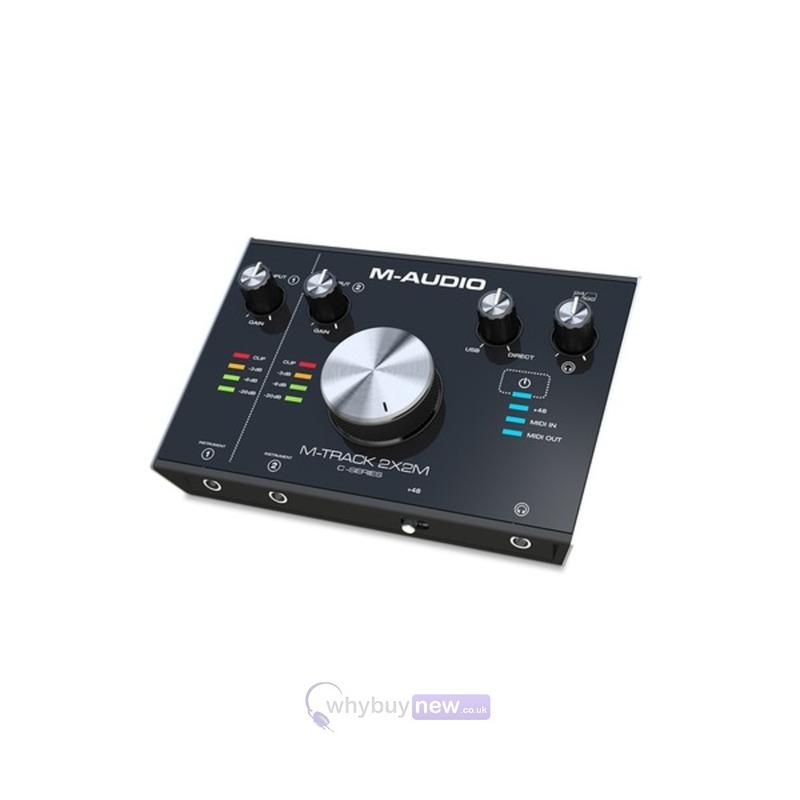 The M-Audio M-Track 2X2M is a compact and portable 2-in/2-out USB audio interface for use in a home studio or on the road. Features 5-pin MIDI In and Out, two 1/4" instrument inputs, 1/4" stereo outputs and 1/4" headphone output. With the M-Track 2X2M, you can create 24-bit/192kHz studio-quality recordings with an intuitive and easy-to-use audio interface. Boasting an elegant pro-grade metal chassis with a large central volume knob, the M-Track 2X2M features all-new transparent low-noise pre-amps and pristine A/D converters that deliver the highest audio performance in its class. 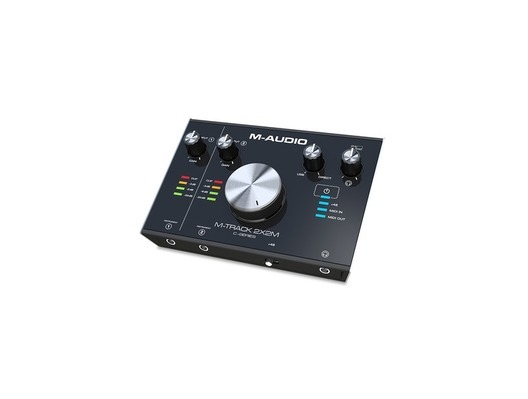 The M-Track 2X2M enables you to record up to 2 channels at once with its 2 dedicated XLR+¼" balanced combo inputs, and 2 all-new ¼" instrument inputs that have a specially designed gain and impedance stage to provide the most accurate representation of a guitar or bass plugged directly into the interface. 5-pin MIDI In and Out connections are included for connecting synths, sequencers and other external MIDI gear. 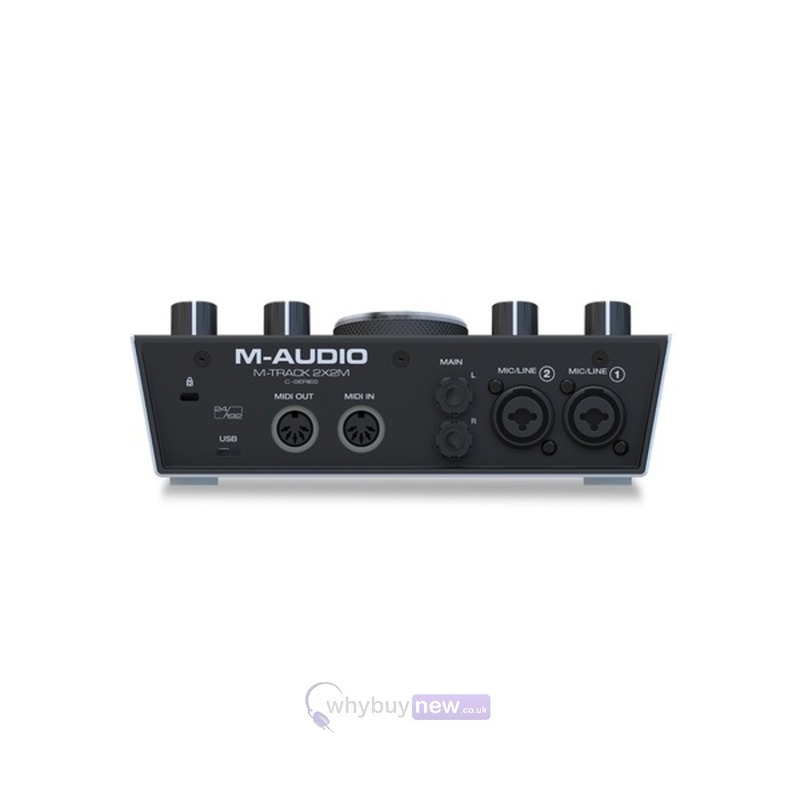 Here we have the M-Audio M-Track 2X2M in brand new condition and in B-Stock. The B-Stock versions would have been on display at a training evening or trade exhibition only and will come boxed 'as new' with all accessories and a 1-year warranty. I bought this item (B-Stock), and it did not take long for it to change my recordings drastically. Using it with Logic Pro and it works a treat. The quality is great. For £100, my home recordings are already sounding somewhat professional - and that's before I started playing around with the sound in editing.